Octavia Spencer attends the 6th annual Gold Meets Golden party hosted by Nicole Kidman and Nadia Comaneci at The House on Sunset on January 5, 2019 in Beverly Hills, California. Octavia Spencer ditched the heels in favor of these pointy leopard-print flats. 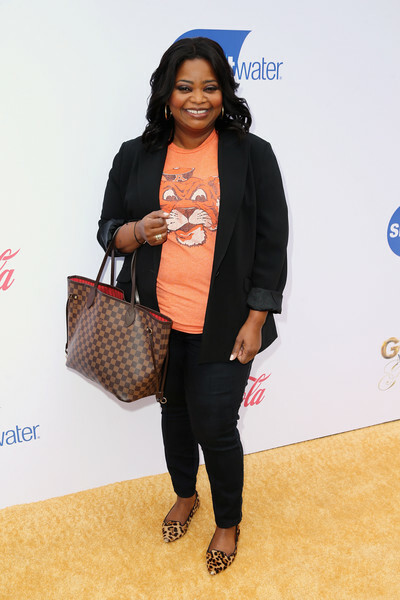 Octavia Spencer was casual in a black blazer layered over a graphic tee at the Gold Meets Golden party. For her arm candy, Octavia Spencer chose a Louis Vuitton tote.